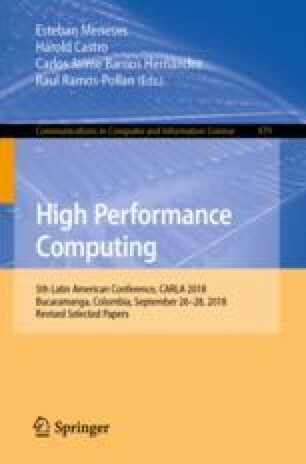 Security issues related to cloud computing as well as all solutions proposed in the literature are one of the high topics for research. However, there are many unsolved problems regarded to cloud storage. In this paper, we focused on an adaptive model of data storage based on Secret Sharing Schemes (SSS) and Residue Number System (RNS). We proposed five strategies to minimize information loss and time to data upload and download into the cloud. We evaluate these strategies on seven Cloud Storage Providers (CSPs). We study a correlation of system settings with the probability of information loss, data redundancy, speed of access to CSPs, and encoding/decoding speeds We demonstrate that strategies that consider CSPs with the best upload access speeds and then, after storing, migrate to the CSPs with the least probability of information loss or best download speeds show better performance behavior. The work is partially supported by Russian Foundation for Basic Research (RFBR) 18-07-01224 and State task No. 2.6035.2017.